From the creator of Mind Delights comes an all-new collection of engaging activities to keep your brain happy and healthy. This time, the puzzles are more puzzling, the mazes more amazing, and the dot-to-dots more daunting—all designed to give your cognitive skills an extra-special challenge. And lest you think this sounds like all work and no play, you'll encounter enjoyable illustrations to delight, beautiful pages to color, and inspiring Scripture verses to reflect upon. It's all part of a balanced and nutritious mental diet prescribed to help you sharpen your brain and soothe your soul. 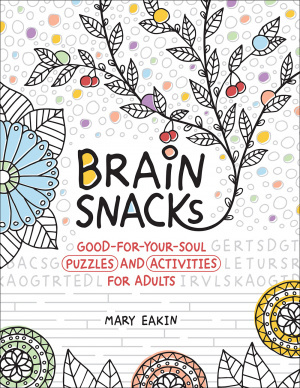 Brain Snacks by Mary Eakin was published by Harvest House Publishers in February 2018 and is our 10127th best seller. The ISBN for Brain Snacks is 9780736973410. Be the first to review Brain Snacks! Got a question? No problem! Just click here to ask us about Brain Snacks.